That sneeze, that cough, that fever, those crowded emergency rooms: Flu season has arrived. And it’s in a bad mood this year. Influenza activity in Providence’s Oregon region is running ahead of the seasonal average, said Steve Freer, M.D., chief regional medical officer. Specimens sent for testing in Providence Oregon labs are running close to 50 percent positive and emergency rooms, intensive care units and inpatient services are “exceptionally busy,” he said. In Washington state, health officials have described the flu as at an “epidemic level,” responsible for 11 deaths at this writing. Nationally, flu cases are above the baseline and haven’t yet peaked, said the U.S. Centers for Disease Control and Prevention. In California, the flu also is widespread, according to this national map from the CDC. Even though the flu is already here, Dr. Freer has a message: It’s not too late to be vaccinated. “Vaccination remains the single most effective way of limiting the impact and spread of influenza, and is recommended for all patients aged 6 months or older without a medical contraindication to vaccination,” he said. The effectiveness of flu vaccines varies from year to year because health officials must prepare well in advance for the strains they expect to be most prevalent later in the year. Last year’s vaccines were a rather poor match, with only about 23 percent effectiveness Dr. Freer said. This year, it’s too soon to say how effective the vaccines are. That said, getting a vaccine is still the first, best step to stopping the spread of influenza. If you are sick, stay home to avoid infecting others. If you are pregnant or over 65, you may be at high risk for flu-related complications. Contact your health care provider, who may prescribe an antiviral drug. Wear a facemask if you are around others, and advise others to wear a facemask around you. Wash your hands frequently, especially if you are dealing with a sick person or his bedding or laundry. Avoid touching your eyes, ears and mouth. If someone in your household is sick, separate him from others as much as possible and separate household items you use, such as drinking cups and towels. If you haven’t yet gotten a flu vaccination, consider getting one. If you are concerned about flu symptoms, talk to your health care provider. You can find a Providence provider in our directory. 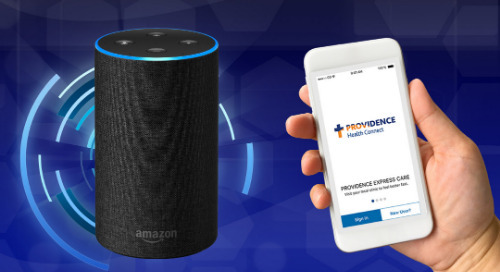 And if you think you might have the flu, you can stay put and connect with a Providence provider for a health care visit online. In most cases, you can use your tablet, smartphone or computer to see a provider in minutes. Most states provide regular public health updates during flu outbreaks. For a look at the national picture, including tips for prevention and treatment, consult the CDC’s Flu and You page.